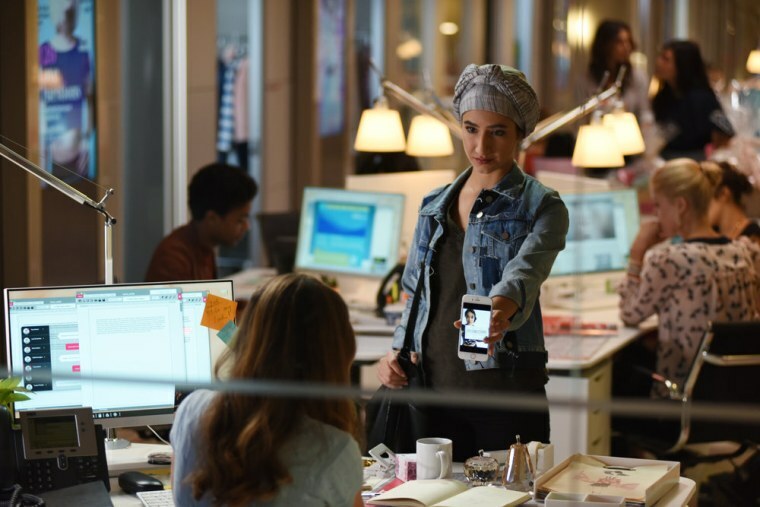 The role of a Muslim lesbian artist wasn’t what actress Nikohl Boosheri went out for when she first auditioned for Freeform’s “The Bold Type,” a series centered on the fast-paced world of a fictional women’s magazine. Instead, she auditioned for the part of Sutton, an aspiring fashion stylist (now played by Meghann Fahy). “The producers contacted me a few days later to say they really liked me, and there was going to be another character that was going to come up later,” Boosheri, 28, told NBC News. They followed through, asking the Iranian-Canadian actor to put herself on tape for the role of Adena El-Amin, a Muslim artist and feminist; Boosheri won the part. The show — and specifically Adena — has garnered praise from viewers for adding nuance to discussions about issues like choosing to wear the hijab (on the show, Adena says it empowers her) and bringing visibility to the Muslim LGBTQ community on television. A 2016 study published by the University of Southern California found that Middle-Eastern characters made up only 2.3 percent of speaking characters across film, TV, and streaming platforms. "I can certainly relate to Adena in a lot of ways. I can definitely relate to feeling like an 'other' or feeling different and wanting to go down a different path, one more rarely followed," Boosheri said. Boosheri said she has collaborated with producers and writers on the show to develop her character's backstory and give dimension to it. That includes having Adena speak with an accent. Boosheri said she also drew inspiration from women she met when she was living in Beirut while filming the 2011 movie “Circumstance,” a Romeo-and-Juliet-esque drama about two female teenagers in Iran. On “The Bold Type,” Adena helps another character, Kat (played by Aisha Dee), grapple with her own sexuality. The storyline has brought on an avalanche of reactions from fans from around the world, Boosheri said. It’s even inspired its own social media hashtag — #Kadena. “I had one fan saying that watching Adena gave her hope that she could somehow be brave enough to come out to her parents ‘cause she related to the character so much — because it showed you can have faith, you can believe in those values and still be yourself,” said Boosheri. While Boosheri declined to comment on her own religious beliefs, she said that conversations around faith and sexuality are bound to ruffle feathers. She added that she has yet to experience any direct negativity from portraying a gay Muslim on a mainstream show. Ultimately, Boosheri said she relishes playing a character who embraces her complexity and hopes that viewers can learn that there's a place for them in the world from her performance.